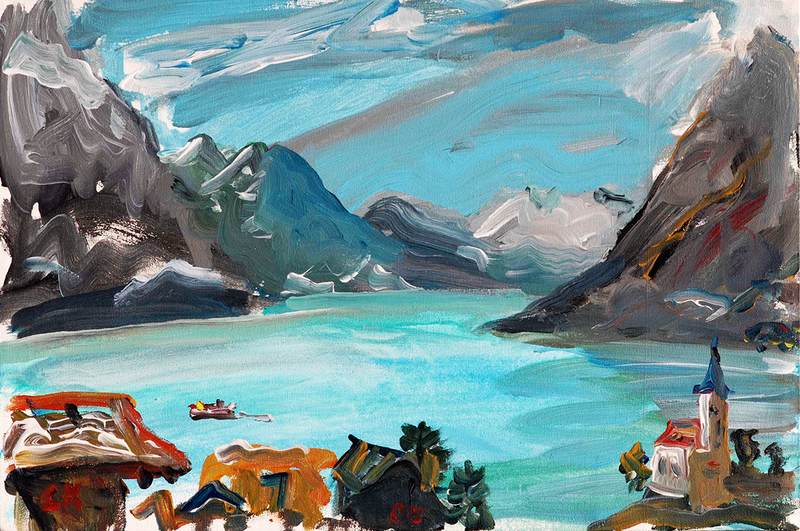 Painted from the balcony of dear friends who live in Brienz in February 2006. Acrylic on stretched canvas; 12 x 16 inches; 30 x 40 cm. Details:Acrylic on Canvas; 12 x 18 inches.Price:In a private collection in South Carolina.